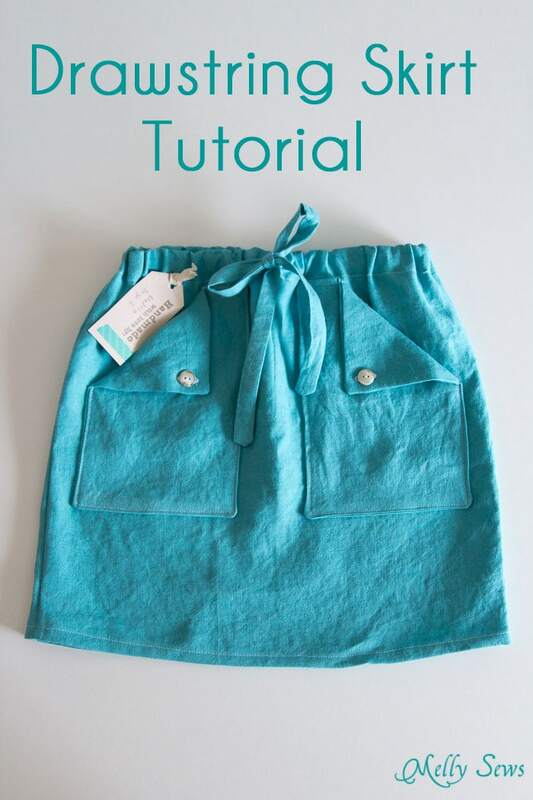 Hey y’all – today I’m posting a tutorial for Skirting the Issue. 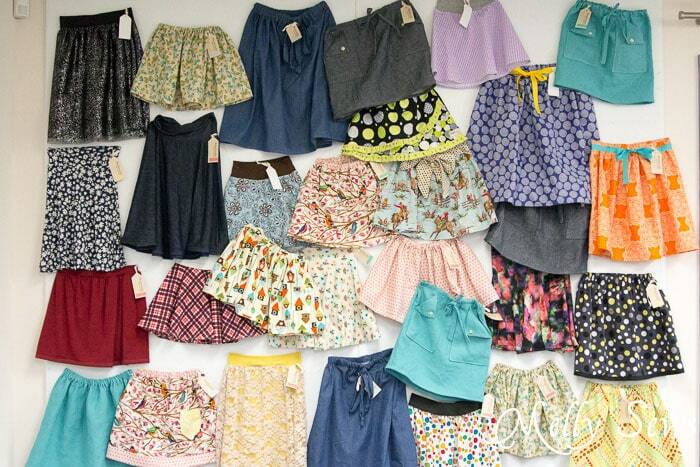 For those of you who don’t know, Skirting the Issue is an annual event spearheaded by the ladies at Simple Simon & Co to sew a little handmade love for girls in foster care. You can read more about Skirting the Issue here. I was so excited to team up with my friends Amy of Positively Splendid, Miranda of One Little Minute and Jamie of Scattered Thoughts of a Crafty Mom to host a sewing bee for Skirting the Issue in Austin. 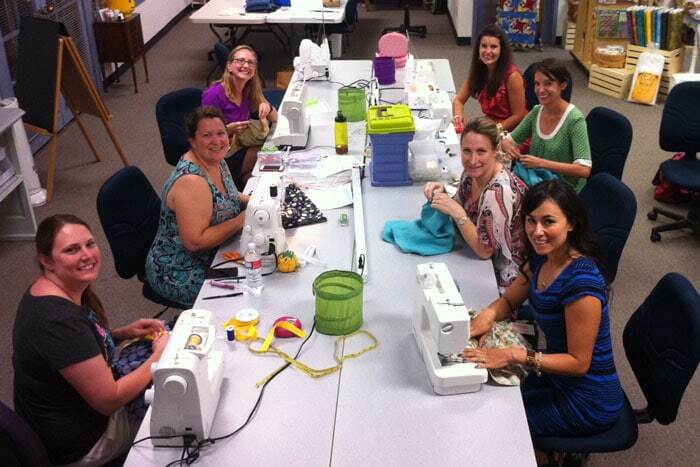 We had a great group show up at The Stitching Studio last week, and together we got 30 skirts sewn for local girls! 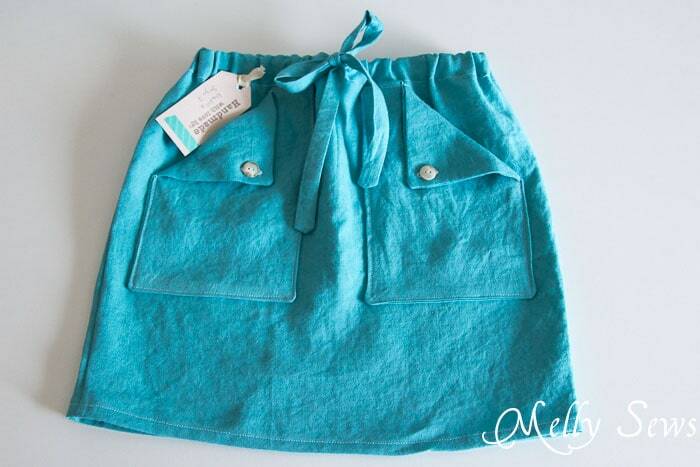 I made these drawstring skirts with pockets. They’re pretty simple, but not as fast as the skirts some of the other girls were sewing, as I was the last one done! In my defense, Miranda is super fast at sewing and I did make 4 of them. Want to make one? You’ll need two measurements – the waist size and skirt length. 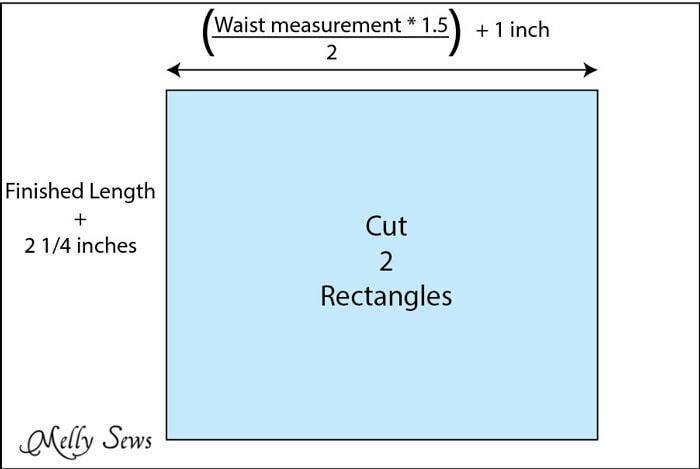 You can use the chart you can download here to find waist and length measurements for sizes 6m-26w – such a handy reference! You’ll also need fabric, 1/2″ wide elastic, and two buttons for the pockets. Ok, so that the skirt gathers, you need to make it 1 1/2 times the waist measurement. Then divide that measurement by 2, so you have a front and back. 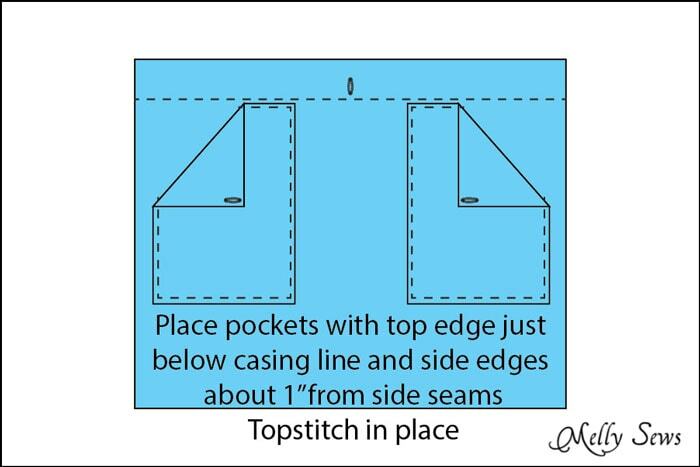 Add 1″ to the width for 1/2″ seam allowances. 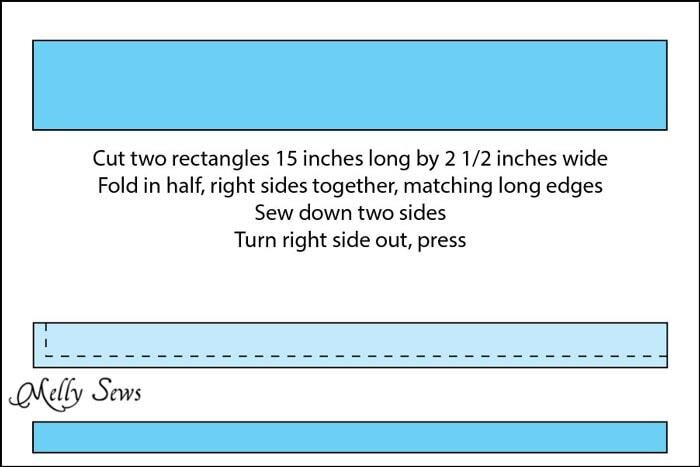 Add 2 1/4 inches to the length – 1 1/4″ for the casing and 1 inch for the hem. 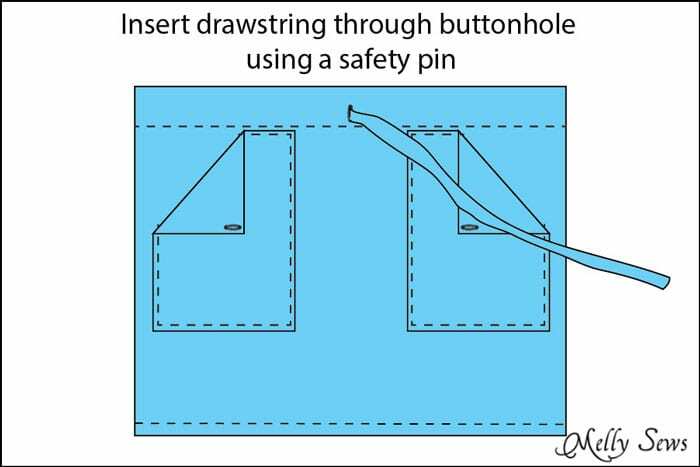 Make a buttonhole for the drawstring to pull through later. This should be on the center front of the skirt. 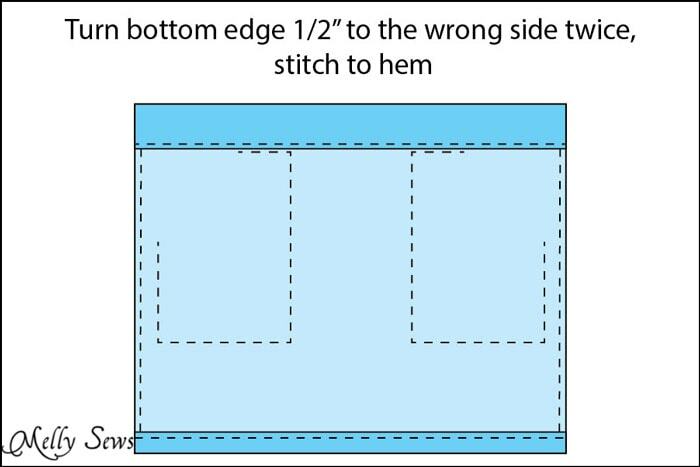 See this post for help with buttonholes. 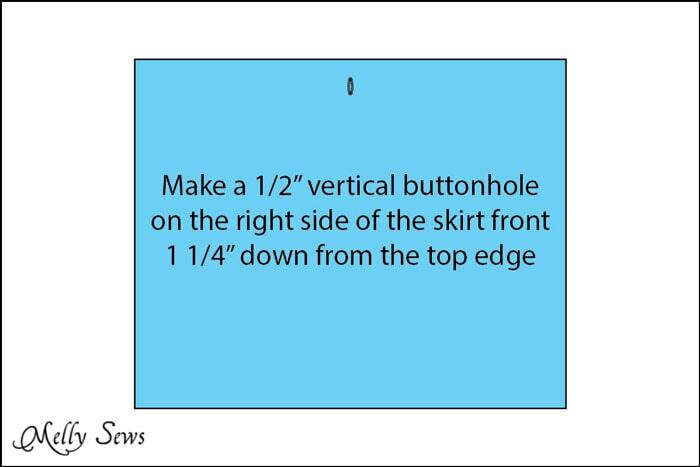 Make sure to cut the buttonhole center. 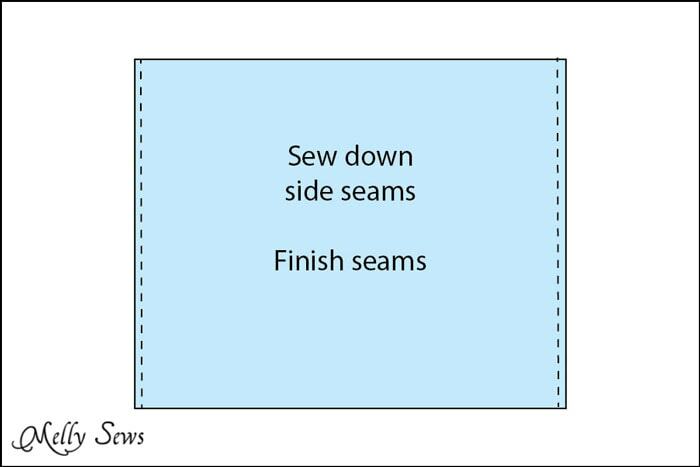 Sew down and finish the side seams. See this post for finishing techniques. 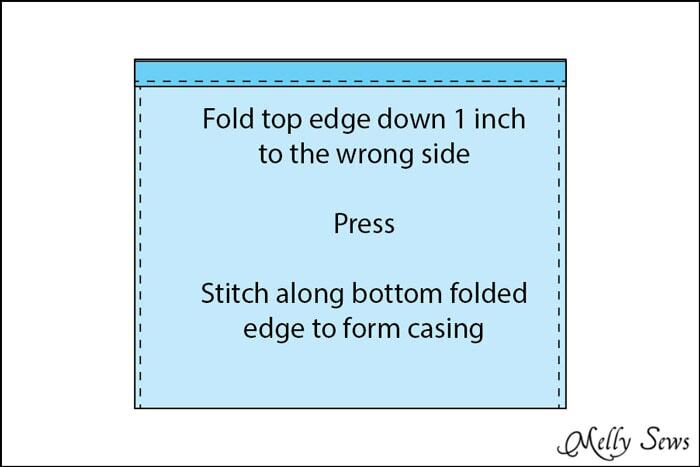 Fold and press to form the casing, which will cover the buttonhole you made earlier. 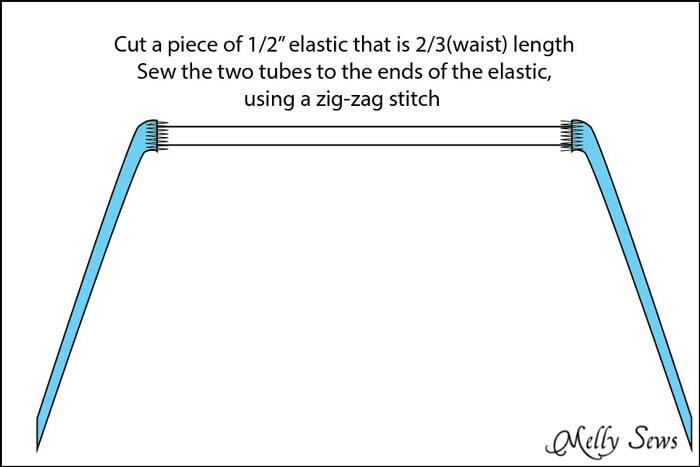 Make the drawstring – this is actually two tubes sewn to the 1/2″ elastic. Make the pockets. 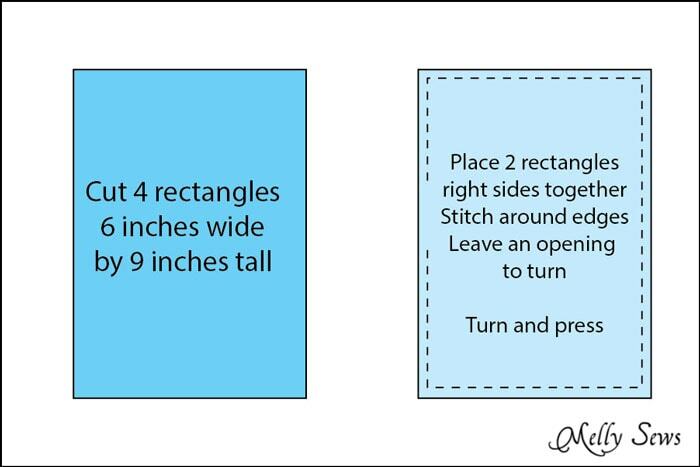 If you cut two of the pocket pieces out of a different fabric, and sew one of each fabric together, you’ll have a cute contrasting pocket flap. 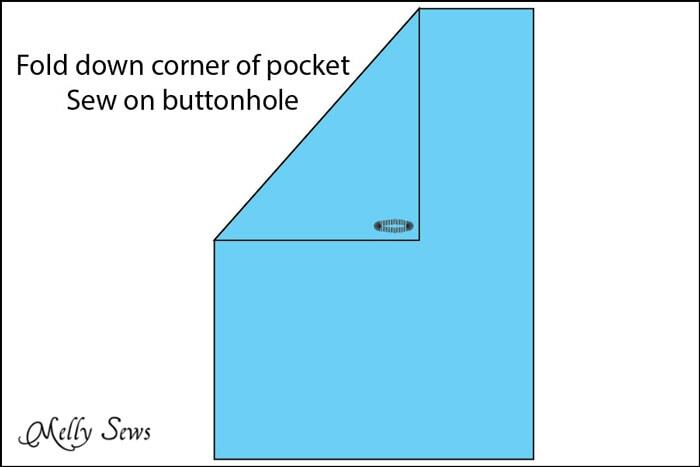 If you want to cheat, you don’t have to make the buttonholes here. You could just sew the buttons through the pocket and flap to keep the flap down. 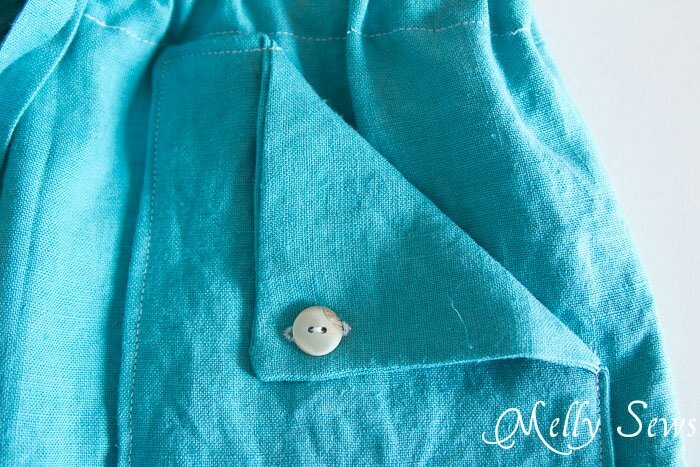 Sew your pockets onto your skirt front. Insert your drawstring through the buttonhole. The elastic will be inside the casing, and the fabric part will be outside to tie. NOTE: Child safety standards in the U.S. state that “no drawstrings at the waist can exceed 75mm when garment is expanded to full width.” 75 mm is just under 3 inches. So if your drawstrings hang out longer when the skirt is fully expanded, you’re going to want to cut them down. You can knot the ends so that they won’t fray. We finished each skirt by adding a “Handmade with Love” label to it that had the skirt size, tying them on with twill tape and a safety pin. 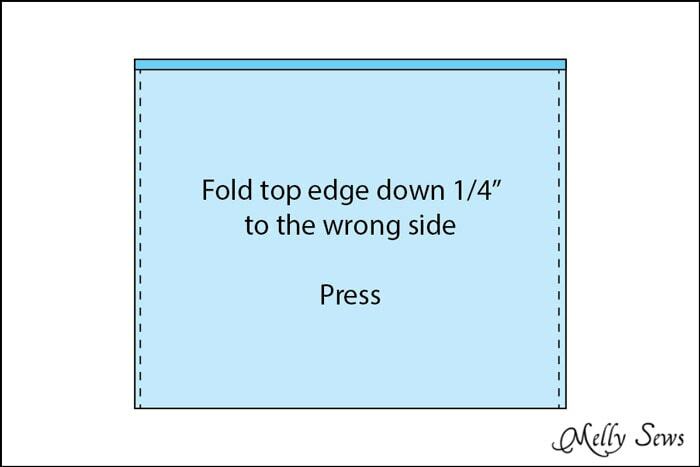 I got the labels from this free printable and just printed them on cardstock. P.S. 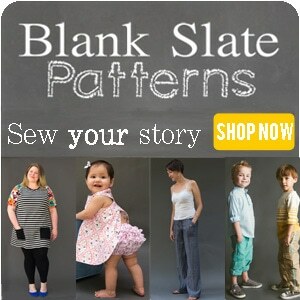 – if you want to make a skirt for yourself with this pattern, they can be cute on women too. I love this and can’t wait to make a few! Thx! So cute! I love the fabric you choose. That is one lucky girl! My 9 YO would love this! Oh. My. Gosh! I love it! I wish I had girls to sew skirts for…just boys around here! Thanks for sharing my tags. You did an amazing job using them! I have made 2 of these already. Great pattern! Love it! 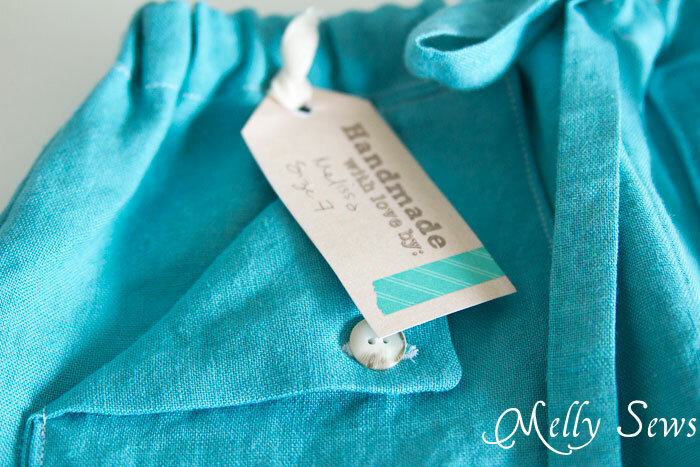 PERFECT color and fabric choices for the style – I want one for me! This is so cute! I made one out of black baby-wale corduroy for my granddaughter to wear to kindergarten. It was so quick to put together, I will definitely be making more (perhaps for my daughter’s, too). I think next time, I will sew the pockets on before I join the front to the back… seems like it would be even easier that way. 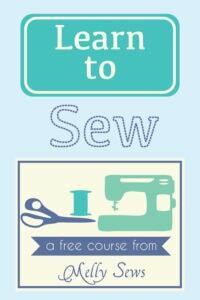 Great instructions – I especially loved the neat trick of sewing elastic in the middle of the drawstring. What a great idea. Thanks so much! Great tutorial. Just made it for my little girl and for my friend. Looks comfy… So i’m going to make another one for myself!